Had this thing for 4 years. Dropped it in water and fixed it with rice, only the soc got rusty. It's good and all but started ghosting. 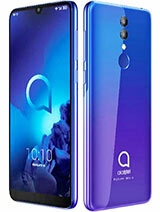 The Alcatel OT-991 can take photos of 2560x1920 pixels. 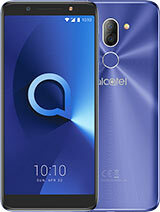 The Alcatel OT-991d is a dual SIM version of that phone. 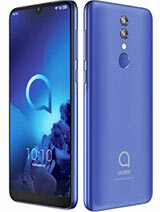 The Alcatel OT-991 doesn't support playing WMA files! a pic taken with the front camera is not really nice,are there any settings to help? I have this phone and i'm going to buy LG L70. 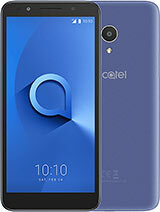 The Alcatel OT 991 is not so good phone, it keeps crashing and i can't download any app bigger than 15 mb! This phone has a lot of problems. 1. The internal memory. Only 150 mb. 2. The camera. My phone could not connect with the camera. 3. Crashes at least twice a day. 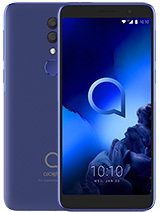 I use this phone for two years and if you want a good phone, dont go with this. I do mobile repairs so I know my phones. 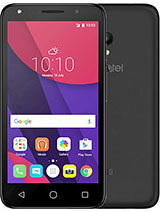 I've been forced to use this alcatel in dual sim for over three months now and I must say (forgive my french) it is the sh******* phone ever made. OS seems to hold on only for a bout two weeks from factory reset then it goes mental. I experienced every possible error and bug android can give on that device. After two months you can't even make a phone call or send a txt msg without restarting the phone every hour or even few times in a row before it works properly. Many users have similar experience to mine. Forget about facebook app or even browsing internet. Almost all the problems are due to ridiculously small amount of available memory I guess. Anyway stay away! If you find it on the street leave it there and don't touch it! How to flip to icure and record with front camera? the internal memory is too low...hw can i move apps to memory card..
edwardthabet, 19 Dec 2012i am sending an arabic sms but it arrives empty to the msg. receiver, does anyone is facing th... moreYes. I have same problem! dominik, 12 Jul 2013this is my frist phone and i think that its quite good i've rooted and installed a lot of apps... moreHow can it be rooted?Is it risky? Root it, install a rom mod like Jeffta v4 or Vesa (look for it on xda), use link2sd plus to move apps to sd card (plus version move all data to ext2 partition on sd card, must be a class 10) and phone becomes other!!! With this vitamins I can do much things with it - Sygic, Whatsapp, youtube, gmail, etc. Control running apps on RAM, things like auto sync and google maps would slow down this guy. Install multiling O keyboard, very lightweight and swipe function. Over 3G phone lags and freezes a lot, this is the real issue. Don´t expect to run games more than angry birds or blocks because it just has few RAM and low processor!!! Of course it as hardware limitations, but for the money you pay for it what do you expect?